Courgettes with lemon and cream 5 out of 5 based on 1 ratings. 1 user reviews. If you are looking for a fast and simple vegetable side dish, you are going to love the courgettes with lemon and cream! The preparation is very easy and requires only a few ingredients: courgettes, lemon, cream and dried herbs to flavour. Also if you want to make this recipe more fashionable for a dinner and impress your guests, you can use a spinalizer or a julienne peeler to cut the courgette in spaghetti noodles, and turn this dish into zoodle with lemon and cream, following the exact same recipe. 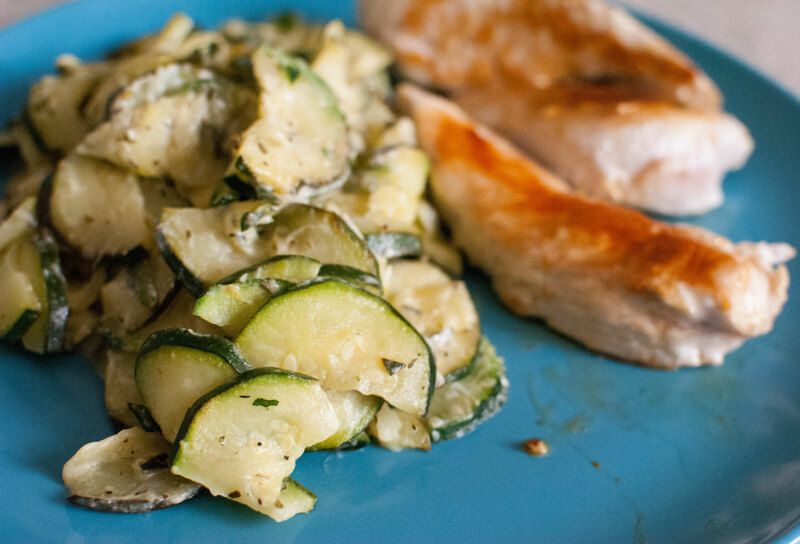 Courgettes and lemon are a perfect combination, and the cream creates a smooth and tasty sauce. No need to use fresh herbs, dried ones work just as well. With parmesan to accompany a pasta: add the grated parmesan in the pan along with the cream or directly in the dish before serving. With fresh basil in summer, because basil is the best aroma in the world. Just spread the chopped leaves in the pan at the end of the cooking. Mix courgettes with mushrooms, half half or according to your taste. The cooking time is the same but make sure that the water produced by the mushrooms evaporates, rising a little bit the heat of the pan during the vegetables cooking, and lower it down before adding the cream . I use an electric grater, Moulinex Fresh Express type, to cut the courgettes into thin and homogeneous slices. You can use less lemon if you are not a huge fan of sour taste, or less cream for a lighter version. 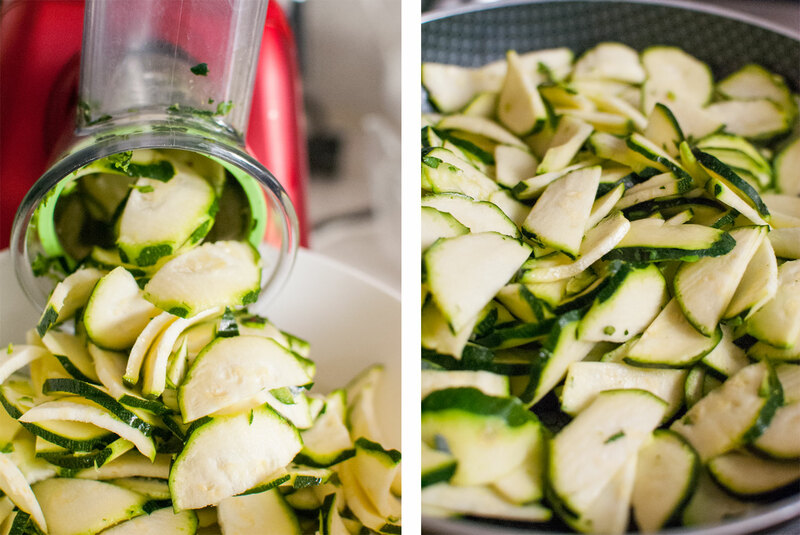 Clean the courgettes and cut them, with their skin, first in two vertically, and then into thin slices, using an electric grater or a mandoline slicer if you have one. 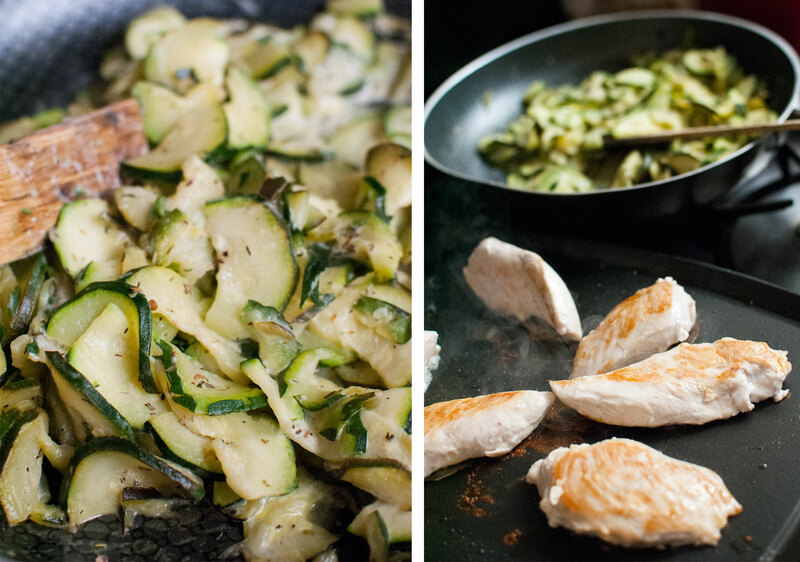 Heat the olive oil in a large pan and fry the courgette slices over medium heat for about 10 minutes, until cooked. If you do the version with mushrooms, make sure the water they produce during the cooking evaporates. In the meantime squeeze the juice of the half lemon, and incorporate it into the pan while the slices are cooking, along with the seasoning and the Provencal herbs. 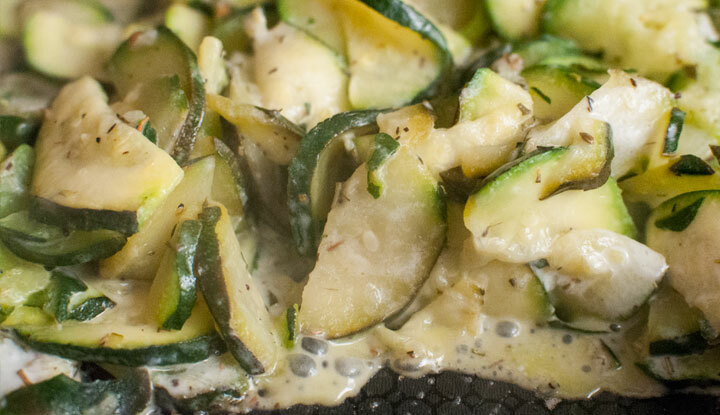 When the courgettes are ready, add the cream to the pan and mix for a couple of minutes.